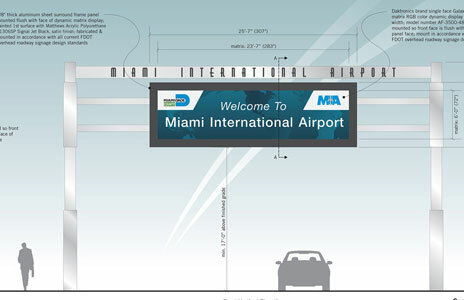 As a result of recent expansions of the airport’s roadways, curbsides and parking facilities, an upgrade of exterior vehicular and pedestrian wayfinding was deemed necessary. 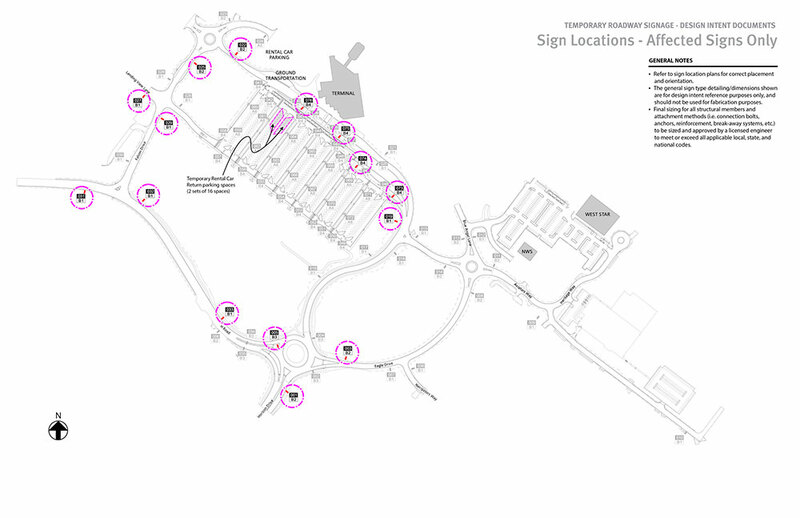 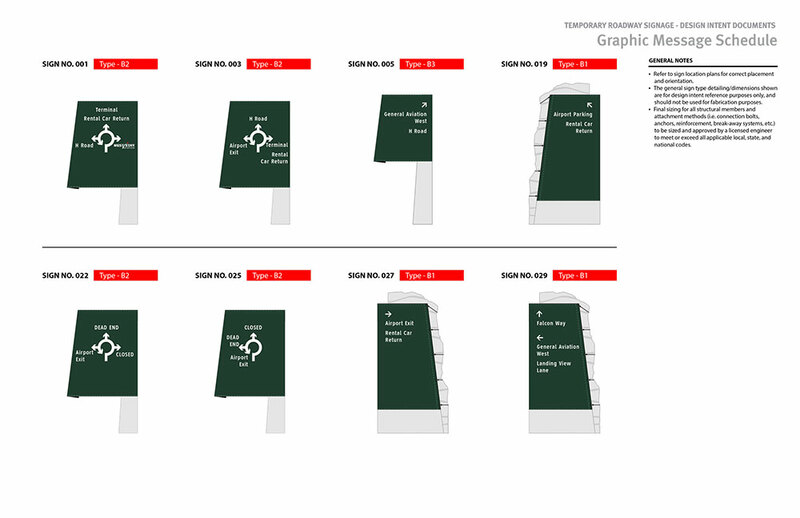 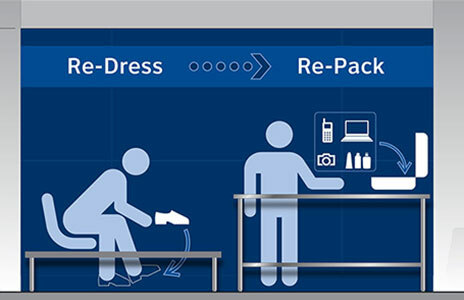 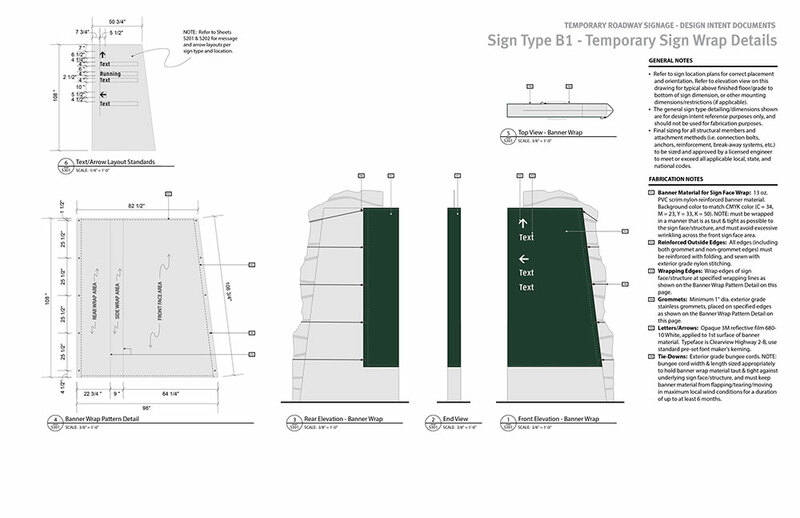 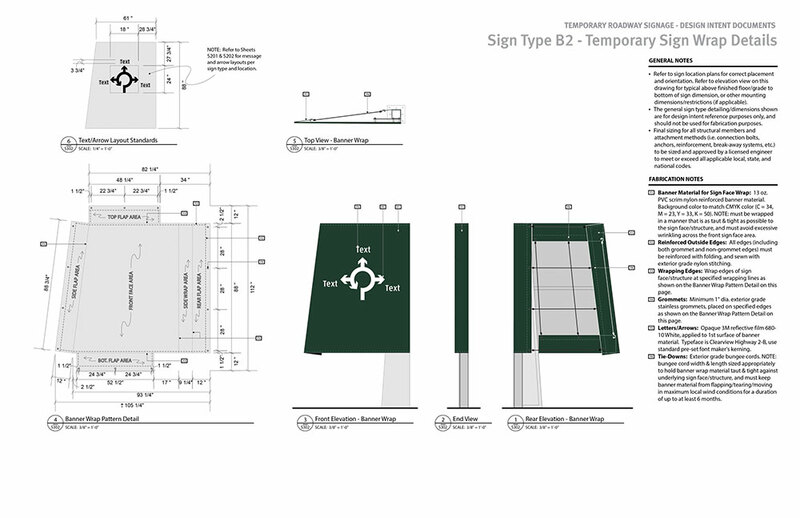 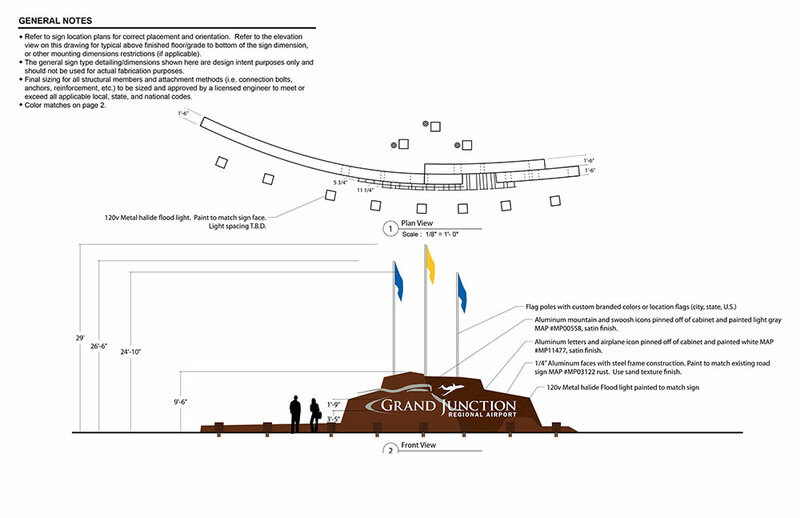 Grand Junction Airport requested the assistance of Joseph Labozan and Carter & Burgess to design and implement a new exterior wayfinding signage to accommodate airport plans. 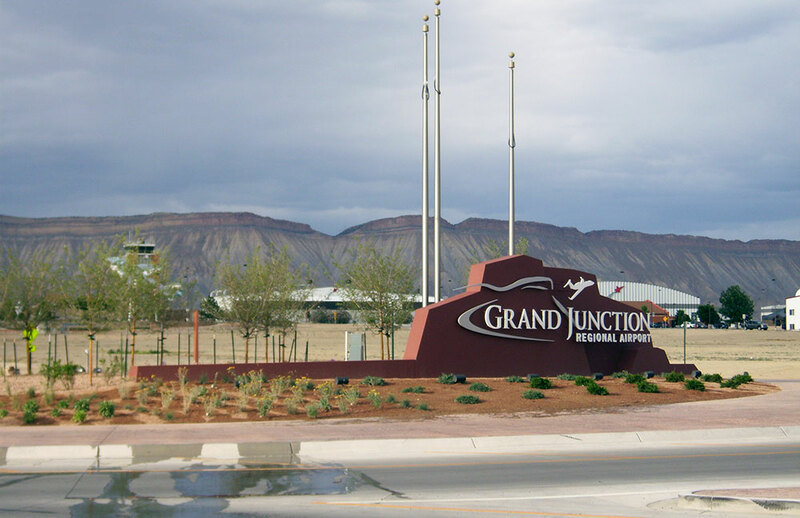 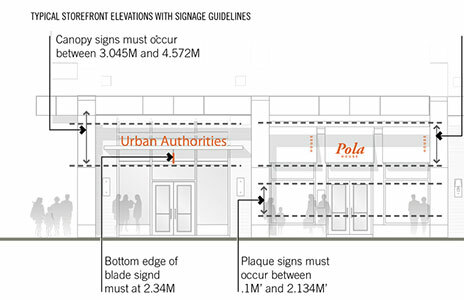 The signage developed was inspired by Grand Junction’s natural rugged surroundings, unique quality of life and future expansion plans. 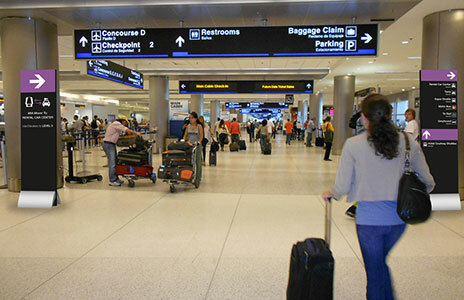 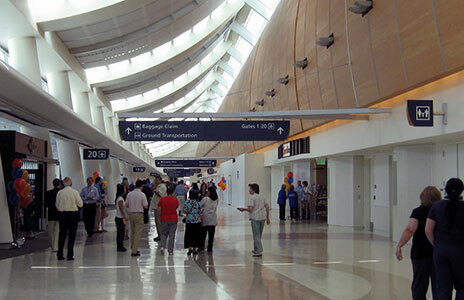 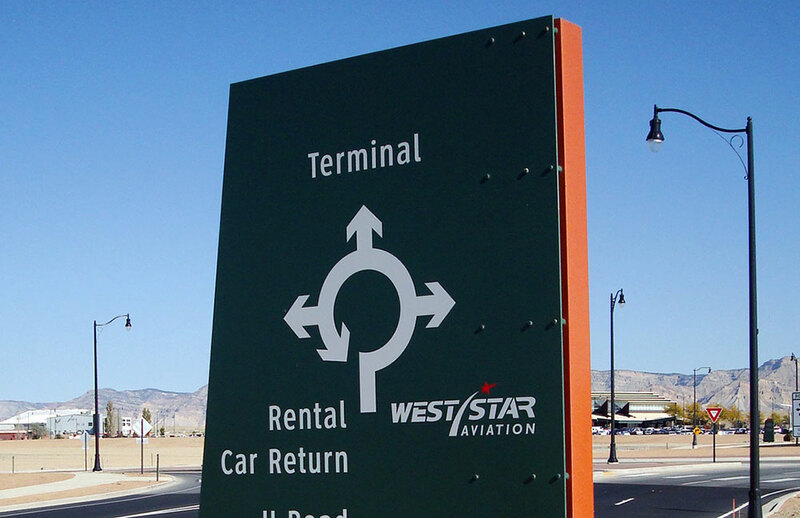 As the airport continued to grow, it was determined that the rental car facilities would move to another airport location. 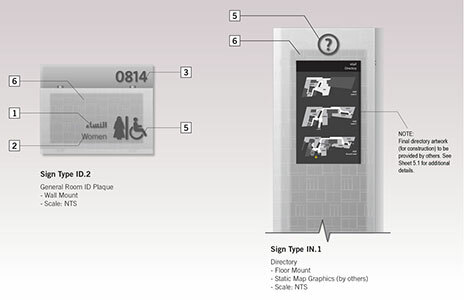 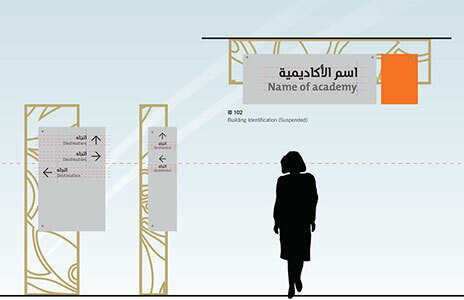 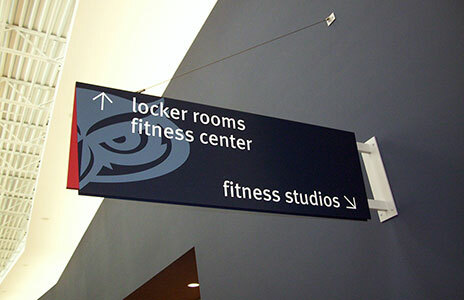 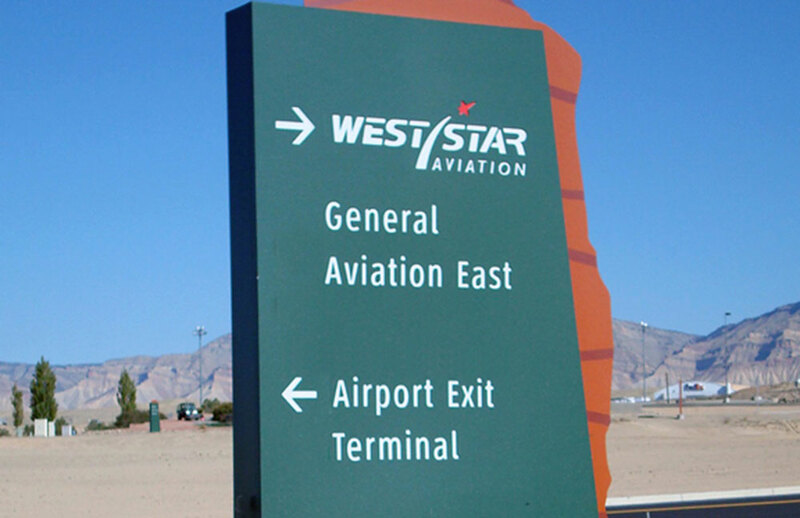 In order to remain fully operational during construction of the new rental car location and facilities, a temporary sign program was required. 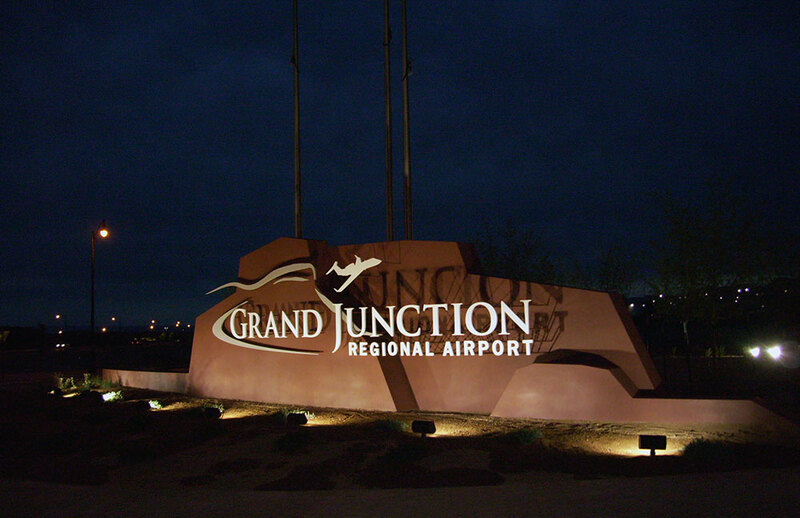 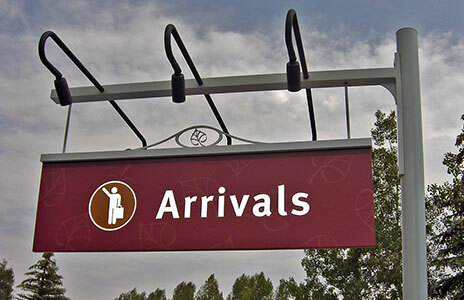 Grand Junction Airport and Jviation Engineers engaged Labozan Associates to develop a temporary sign program that would complement their new roadway signage, yet be flexible, durable, inexpensive and easy to change. 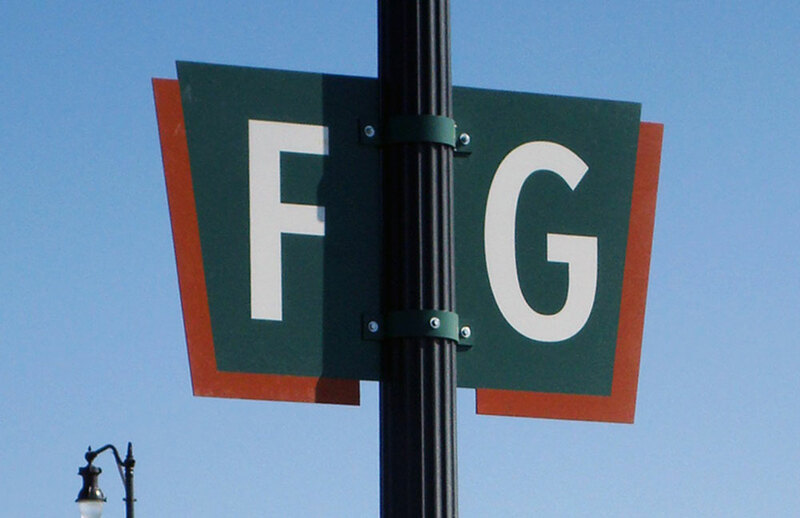 Temporary covers were designed to wrap around the roadside directional signs using banner material, and a series of tie-downs and grommets. 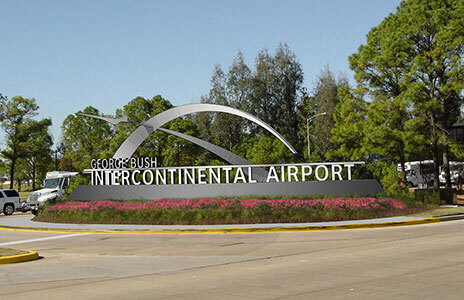 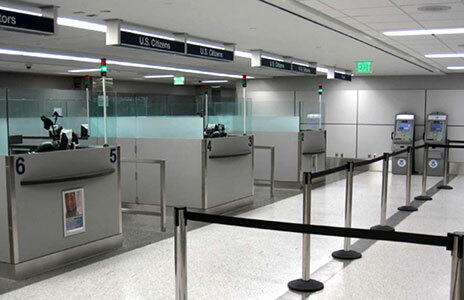 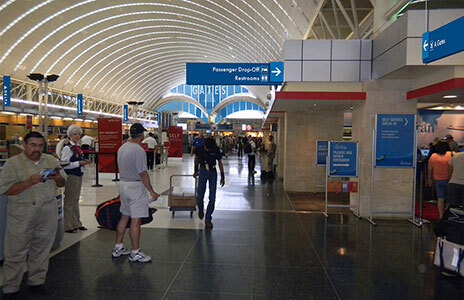 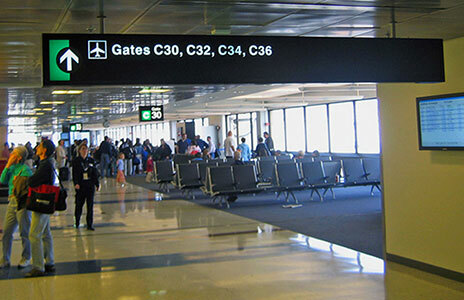 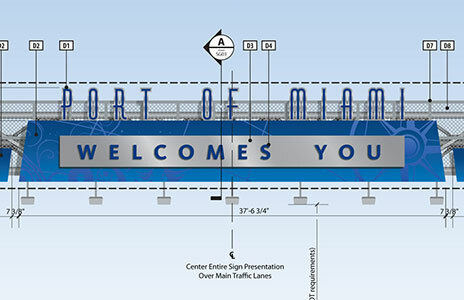 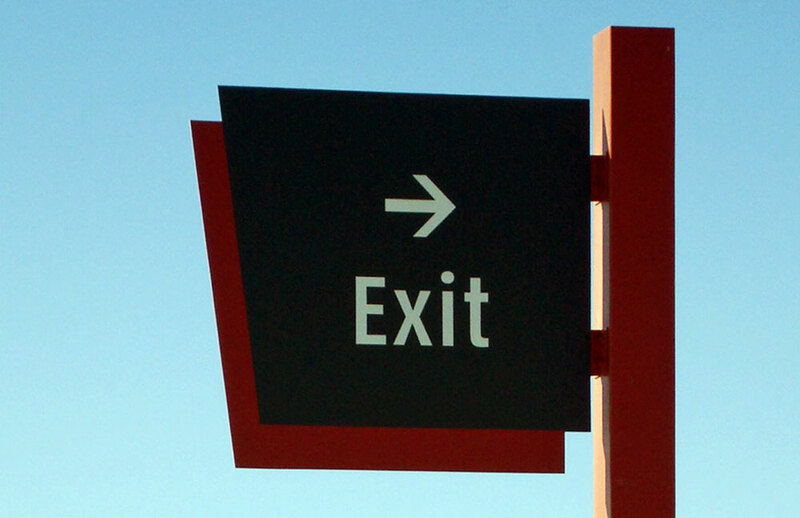 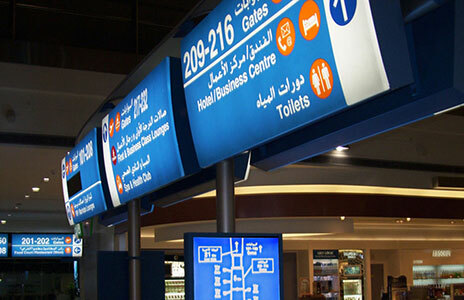 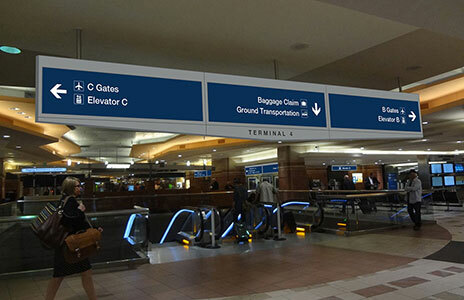 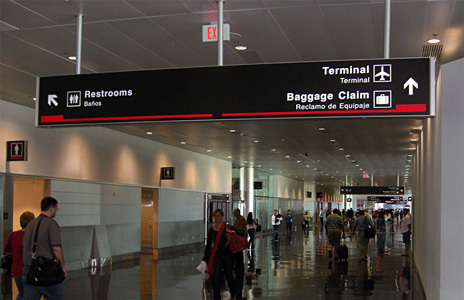 As construction on the airport roadways and rental car facilities was nearing completion, the need for a major gateway signage element for the airport became apparent. 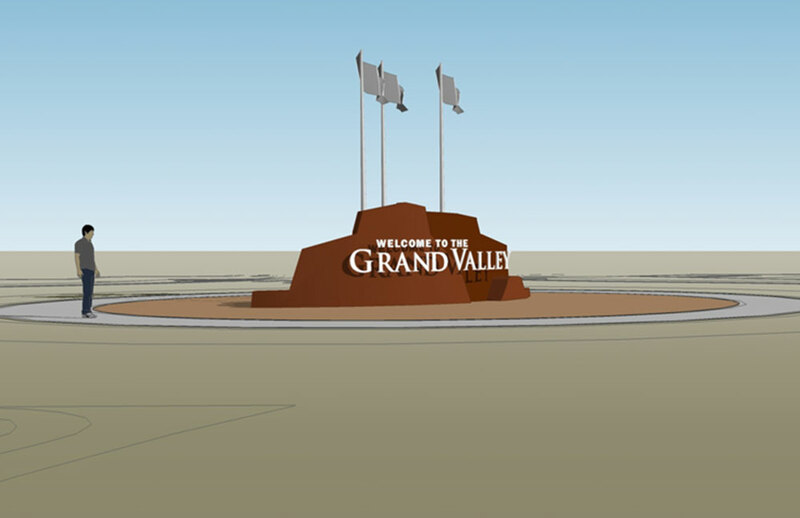 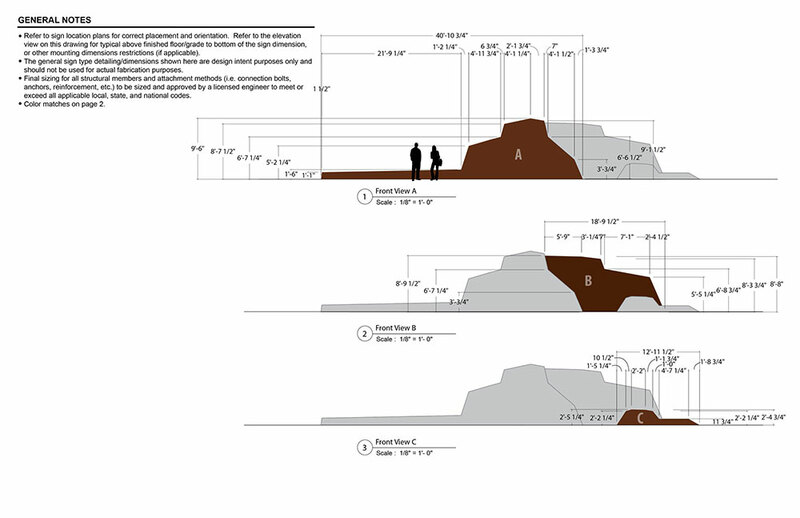 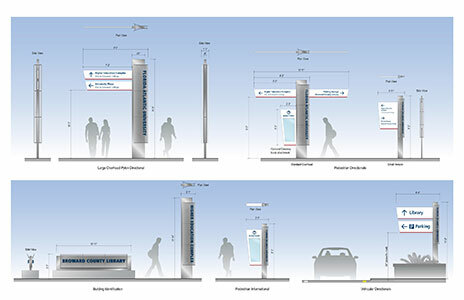 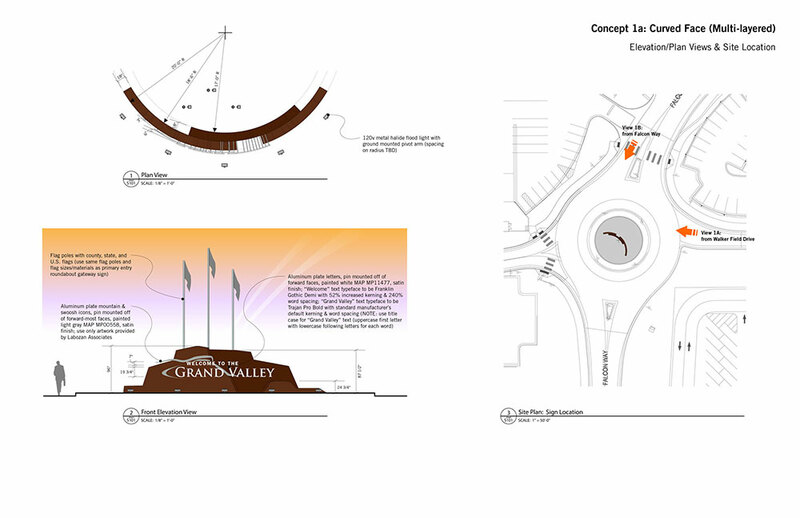 Grand Junction Airport and Jviation Engineers again engaged Labozan Associates to design a feature gateway sign element for the main entrance into the airport. 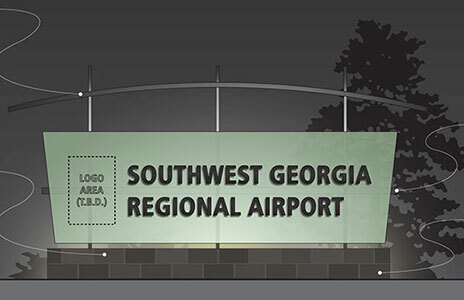 In coordination with the airport’s landscape architects (Ciavonne Associates), a gateway sign was designed that complemented the surrounding topography and natural features, while linking the recently installed roadway signage.